We are very excited to announce that we are taking over the operation of CrossFit Noosa. The current owners, Danny and Amelia Mellor, have been a big part of the foundation of CrossFit Brisbane and have been part of our community since the very early days, with Danny being our first, and most loved trainer. They have done an amazing job of bringing CrossFit to Noosa with the establishment of the box in 2011 and development of a very cool group of people. Now with the demands of a young family they have decided to step back and we felt it was a very good fit for us to take over and bring our two communities together. I am especially looking forward to coaching Danny again! It is business as usual at CrossFit Brisbane. We plan on commuting between the two boxes, and don't worry, we are not stepping away from CFB as some of you have asked. 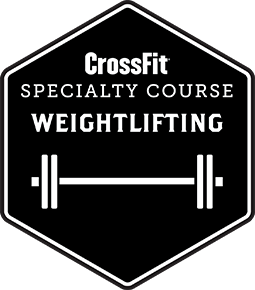 On the contrary, as we pass our 10 year anniversary as box-owners we are expanding our CrossFit family and see this as an exciting next step in our growth. The CrossFit Brisbane crew now has new group of friends on the coast and a very cool place to train when you are on holidays. We look forward to including the CrossFit Noosa crew in our events and I expect some fun inter-box rivalry and banter. Great things to come for both boxes! Use the empty Rogue Butcher Sled. Men use 2 x 32kg Kettlebells. Women use 2 x 24kg Kettlebells. Record your total time including the rests. From 0.00 - 5.00, use 75lb. From 5.00 - 10.00, use 95lb. From 10.00 - 15.00, use 115lb. Rest 2 minutes between each attempt.